Please, please, please, let this rumor just be a rumor, because I'm not sure I can handle another celebrity break up. 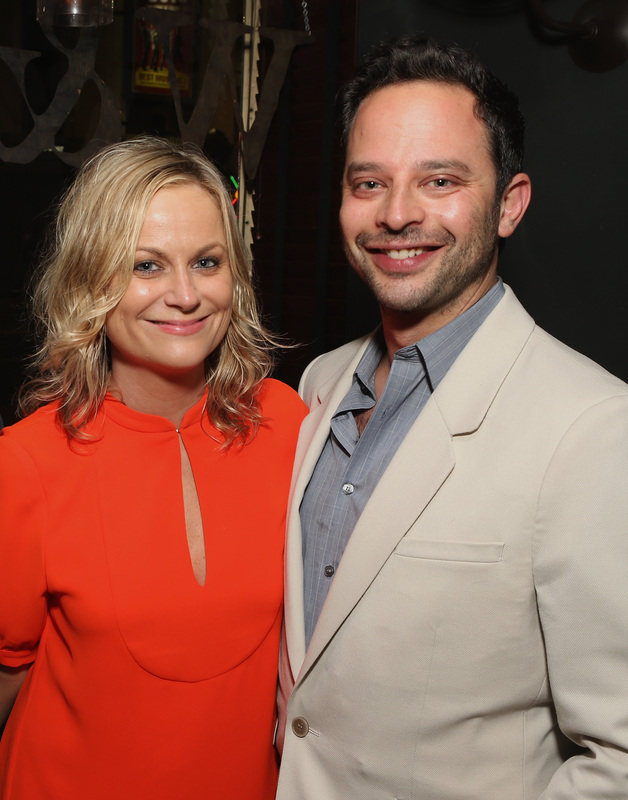 According to US Weekly, Amy Poehler and Nick Kroll have reportedly broken up after two years together, and that is not the kind of news I need to hear only three days after Poehler lost an Emmy win to the incredibly talented Julia Louis-Dreyfus. Heck, that is not the kind of news I need to hear after spending a summer watching longtime celebrity couple after longtime celebrity couple call it quits, like they're real people with real problems who don't have to think about how I feel about their relationship crashing and burning before my very eyes. How insensitive! Bustle has reached out to Poehler and Kroll's representatives, but have yet to hear back. Anonymous sources claim that, “Unfortunately, they just couldn’t make the relationship work with their schedules," and that, "They really tried, but it just wasn’t realistic anymore." However, I refuse to believe this until Poehler herself speaks out one way or another on the split. In fact, I refuse to believe this until Poehler herself bangs down my door and tells me right to my face that she and Kroll are done-zo. (I am in this same state of denial about her divorce from Will Arnett, mind you, and that happened a year ago.) However, even if I do have to come to terms with the crushing realization that Poehler and Kroll are done (please, please, please let this rumor not be true), I don't think I'll need to worry about Poehler. The possible end of a relationship is rough on all involved (and rough on the fans *sobs*), but I wouldn't panic just yet. If Poehler and Kroll have really called it quits, one or both of them is sure to speak up soon, and they both have a lot on their plates to help them deal with the heartache. If Poehler and Kroll haven't called it quits, I'll be throwing the celebratory party at my house, and you're all involved.